Edgewater Pediatric Dentistry always appreciates feedback from our valued patients. To date, we’re thrilled to have collected 7 reviews with an average rating of 5 out of 5 stars. 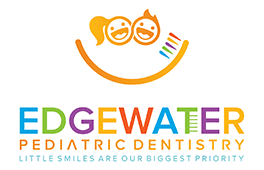 Please read what others are saying about Edgewater Pediatric Dentistry below, and as always, we would love to collect your feedback. My daughter loved it so much. She is glad to visit again in October. Awesome like always. Thank you for taking care of my daughter. She always enjoys going there. Dr. Rachel is awesome! My litttle one adores her! Dr.Rose was very informative and I enjoyed watching her treat my son. We can’t wait for our next visit with her ! It was great. My daughter love the fact that they sang to her while she was getting her cleaning done. The whole staff is super nice and patient.